From 1973 to 1977 Jim Henson was Director of the Deschutes County, Oregon, Mental Health Department. The tales in this book in 43 chapters chapters come from those years. He was seduced into taking the Directorship by its previous occupant, the late Charles Whitchurch, who was also known as "The Red Baron." Chuck became a dear friend and aler ego. A colleague of Jim's once remarked, "the two of you almost make a complete person." Jane Kirkpatrick, NY Times Bestselling Author, calls Jim "Poignant, funny and authentically Jim. "Seeing Red is a Doc Martin-esque return to an earlier Bend community with quirky and endearing characters, exceptional landscapes, a young family's settlement in a supportive community and an insider's look at community mental health and the tangles of state bureaucracy." 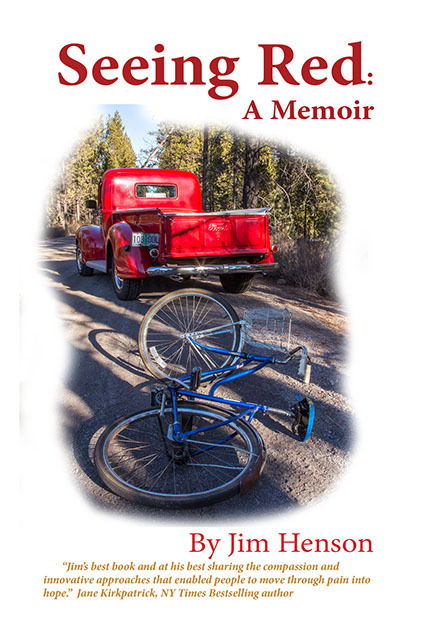 Chapters range from poking fun at the state bureaucracy to heartbreaking tragedies of too little to late, to poignant innovative approaches to enable people to move through pain to hope.